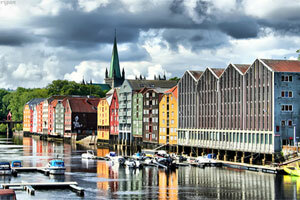 Inbound tourism push: Norway's third-largest city of Trondheim is connected with continental European hubs Copenhagen and Amsterdam, but lacks direct services to Germany – a key market. Need any more reasons to visit? 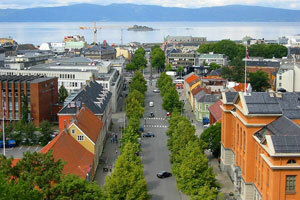 : From its historic charm, unspoilt beaches in summer and ski resorts in winter, Trondheim is also a popular pilgrimage site, a world-class destination for salmon fishing and home to central Norway's largest centre for conferences and trade shows. 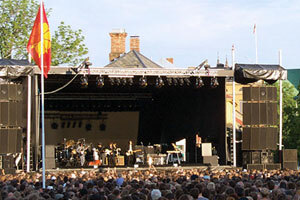 Trondheim's annual Jazz Festival, International Film Festival, Chamber Music Festival also draw in international crowds. 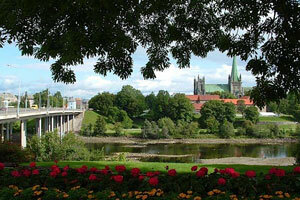 Trondheim serves the Trondheim Region and the Sweden/Åre area. The region has more than one thousand researchers in oil & gas-related R&D, and more than 120 companies with 5,220 employees in the region’s petroleum cluster. 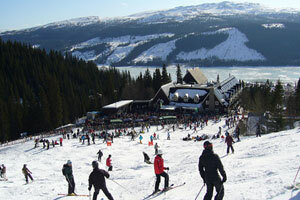 Opdal Ski resort is located in Trøndelag county, 2 hours by car or train. These resorts are offering the very best of winter sport activities. Both destinations offer “Snow Guaranteed” in the season and should feature in all airline market materials for winter campaigns. 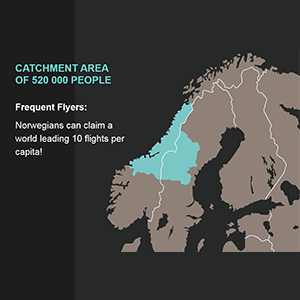 Our region is Mid-Norway’s Oil and Gas Capital, where high yield business travellers are located. A market that offers airlines a high yield ticket price market. 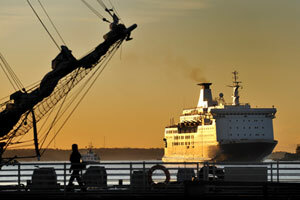 The region’s international traffic has grown by 73% in the last five years. 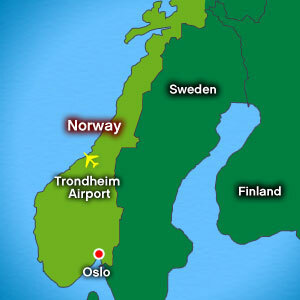 A new bonus scheme for airlines that can stimulate passenger growth to and from Trondheim was introduced on 1 January 2011. 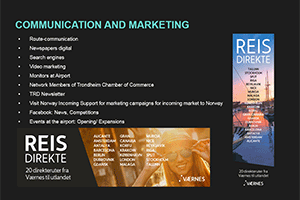 Trondheim Vaernes Airport has a dedicated route marketing team That boasts a strong track record of helping airlines make new route start ups a great success and sustainable. We are also supported by a consortia of stakeholders that come together under our “Airport Forum” to help add further scale and support to the marketing efforts of our airline partners. Updated with effect from Jan 1st 2011. Start-up aid for all airlines starting up new routes. 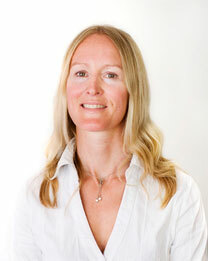 Offer direct grants to finance marketing activities. Provide assistance in connection with establishing a Route Development Fund (RDF). The reason for participating financially is to increase the traffic volume and the financial results of the Avinor group (Avinor). For the passengers and the regions, it will mean both a better service and an increase in the number of routes. The financial assistance provided should lower the financial risks of the company when starting up new routes. All the different types of financial assistance will be published and available on the internet page of Avinor AS (www.avinor.no) and Oslo Lufthavn AS (www.osl.no). 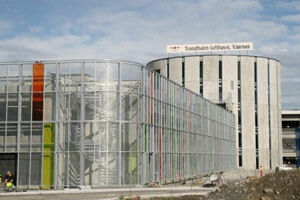 Both Avinor AS and Oslo Lufthavn AS can grant this type of financial support. The companies applying must do so in writing. Each application will be dealt with separately and according to the conditions set out in this paper. The Avinor Group will determine the amount, type and duration of any such financial support on a case-by-case basis. In particular, special attention is given to the feasibility and profitability evaluation of the route, both for the Avinor group and for the company that is applying for support. Start-up aid can be granted to an airline, to encourage the start up of a new route from one airport to a new destination (a direct flight). The financial support provided, will reduce both the risk and the cost of the airline when setting up a new route. In turn, the new route will provide increasing revenue for the Avinor Group. Reduction in Take-off charges by up to 100% for year 1 up to 75% for year 2, up to 50% for year 3. In addition a reduction in passenger charges by: up to 40% for year 1, up to 30% for year 2, up to 20% for year 3 may be granted. No discounts are given on other charges. Reduction in Take-off charges by up to 100% for year 1, up to 75% for year 2, up to 50% for year 3. In addition a reduction in passenger charges by up to 75% for year 1, up to 50% for year 2, up to 25% for year 3 may be granted. No discounts are granted after the third year (36 months). The discount will be granted only when an airline is starting up a scheduled return flight, showing it will be operating for a whole year with at least two weekly departures (freight one weekly departure) or an operation with an aircraft that is flying a summer and a winter flight program with at least two weekly return flights. No discounts on the Take-off charges to be granted on night departures (between 2400-0600). 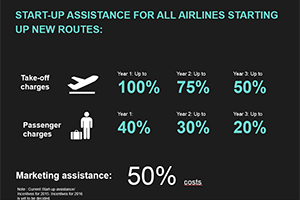 Discounts apply to all airlines starting up with corresponding new routes within the three years period, during which the airlines can apply for start-up aid. Start-up aid to an airline that previously closed down a route, which was granted start-up aid, could be given but only in exceptional cases. Airlines must apply in writing for financial support before starting up the route. The application must incl. a budget for the new route and also incl. a feasibility study. The financial support will be assessed and decided individually, according to the evaluated profitability of the new route. Discounts may be denied in cases of poor payment history and/or lack of required bank guarantees. The Avinor group would like the airlines to use the amount granted as a discount, to finance marketing activities related to promoting the new route. The Start-up aid scheme is the same for Avinor AS and for Oslo Lufthavn AS. Please address the application to Avinor AS or Oslo Lufthavn AS, depending on where the new route departs from. The aim is to participate in connection with the start up of new routes or other special activities at the airport, that are leading to an increase in volume and income on Avinors behalf or to an increase in the service for the local travellers. The support is reducing the financial risk for the airlines when setting up new routes. Special events for invited persons like representatives from the airlines, the press, etc. in connections with the opening up of a new routes, other major events at the airport, etc. Marketing campaigns directed at travellers to make them aware of a special occasion at the airport, when opening up new routes to new destinations, etc. Newsletters, reports on the radio, press conferences, articles in magazines, etc. Setting up direct internet links between airports and airlines/special destinations in connections with opening of new routes. The direct grant will only be given once to the same activity. The amount will not exceed 50% of the “external” costs of the project. The “external” costs are the direct expenses, except for the cost for the use of personnel and other types of costs directly related to the funding partners/owners of the project. In addition to this, the amount of the direct grant will be assessed in relation to the estimated effect of the project on the increase of the volume of traffic, profit, other type of services etc. The marketing activities must be part of a plan which must be profitable both for the companies applying for the grant and for Avinor. 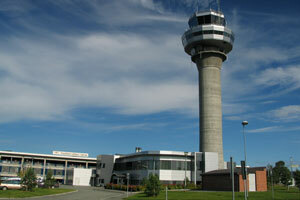 A written application must be in the hands of Avinor AS or Oslo Lufthavn AS before the start of the planned activities. Each application for direct grants will be decided individually and nobody have any special rights to direct grants to finance any projects. The scheme is the same for Avinor AS and for Oslo Lufthavn AS. Please address the application to Avinor AS or Oslo Lufthavn depending on where the activities are taking place. In total: a catchment area of 530,000 people. The catchment area comprises Sweden (Åre/Östersund), Trøndelag/Central Norway and Helgeland. 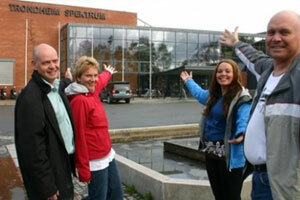 Sun Microsystems, Atmel, Nordic VLSI and Q-free are among the international technology firms located in Trondheim. The city’s commercial market covers a large part of Scandinavia, with some businesses expanding into the growing Northwest Russia market. Strong growth in oil & gas industry in the years to come. More than 500 technology-based companies with appr. 10,000 employees. 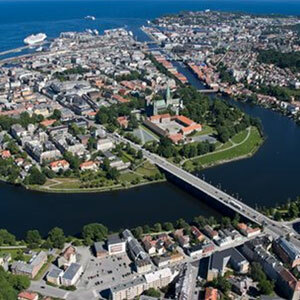 Trondheim Værnes Airport is a 30-minute drive to the city via the E6 motorway and offers fast train links from the terminal station. The airport is also within easy access of Norway's world-famous Coastal Express or 'Hurtigruten', which sails the length of Norway's west coast with a daily stop at Trondheim harbour. 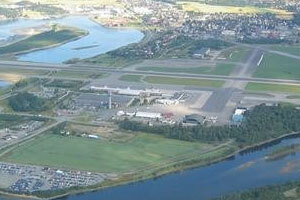 The airport is located 30kms from Trondheim City. Trains to downtown depart twice an hour. Buses depart every 5 minutes during peak times. 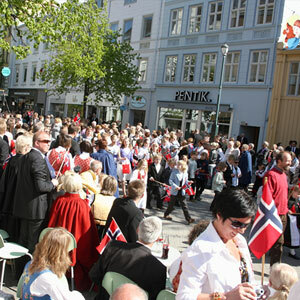 Rated the most attractive region to stay in Norway. 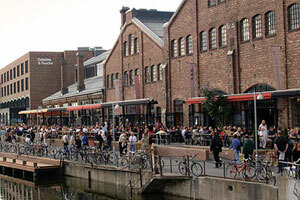 Large number of concerts, festivals and other creative cultural events, together with museums, exciting boutiques and cafes. 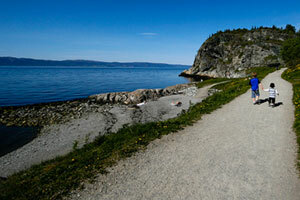 Seven national parks, a beautiful coastline and many other great outdoor areas. 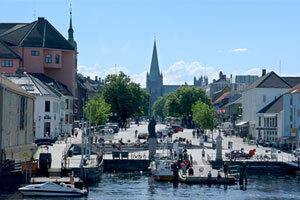 Historical heart of Norway; Trondheim, Pilgrim, Røros UNESCO World Heritage site. 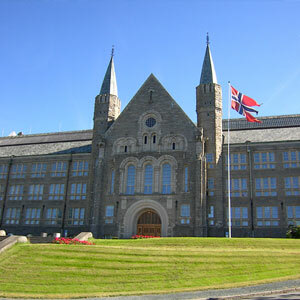 Trondheim is a high-tech capital, based around the Norwegian University of Science and Technology and the SINTEF group. 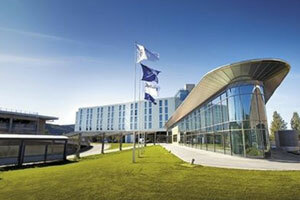 The new Radisson Blu Hotel at Trondheim Værnes Airport is one of many new developments at the airport. The airport itself is also expanding with six additional gates and an extended terminal. Customer profile: 70% leisure , 30 % business.